AUSTINTOWN – There will be a funeral service at 9 a.m. on Monday, Feb. 3, 2014, at the Rossi Brothers & Lellio Funeral Home in Boardman followed by a 10 a.m. Funeral Liturgy at Christ the Good Shepherd at Sta. Rosa de Lima Church, for Aurea Esther Class, 80, who passed away on Wednesday, Jan. 29, 2014, surrounded by her loving family. She was born June 22, 1933, in Ciales, Puerto Rico, the daughter of Isidro and Felipa Sanchez. Esther was a homemaker and also worked at Weatherbee Coat Factory. She was a member of Christ the Good Shepherd at Sta. Rosa de Lima Church, where she was also a member of the ladies society and cooked for its church festival. Esther was a member of the Sons of Borinquen and a volunteer for the Red Cross. She enjoyed cooking, crocheting and dancing. Her husband, Francisco Clas, whom she married in September of 1950, passed away July 13, 1999. 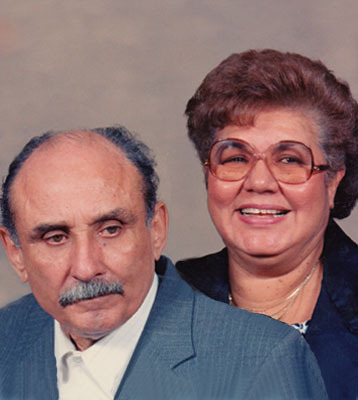 Esther will always be lovingly remembered by her four children, Ruth Ann (Paquito) Reyes of Youngstown, Ana E. Clas of Austintown, Angel F. (Mary Jane) Class of Boardman and Maria Class (Calvin Thomas) of Boardman; 12 grandchildren; 22 great- grandchildren; and sister, Ana Daisey Cortez of Puerto Rico. Besides her parents and husband, she was preceded in death by her brother, Robert Sanchez and sister, Victoria Sanchez. Friends may call on Sunday, Feb. 2, from 2 to 5 p.m., where a prayer service will take place at 5 p.m. at the Rossi Brothers & Lellio Funeral Home, 4442 South Ave. in Boardman. The family would like to extend a heartfelt thank you to Crossroads Hospice for the kind and compassionate care shown to Esther. Please share your memories of A Esther.